It's no secret that social media is a great tool for events professionals when it comes to promoting events. From planning to post event reporting, social media can play a big part in improving your outreach and improving the data you collect. More and more events tools are appearing on the market that are tailored specifically to the events industry, but what about the bigger social networks? How should you be using them effectively? We have the answers! Below is our first Social Media For Event's Professionals Guide, and we have chosen to start with the social media channel that currently has the most registered users... Facebook. It is a common occurence to hear "You need to be on Facebook", and this is apparent for all industries, but simply "being" on Facebook will not cut it, you need to be utilising it in the best possible way. 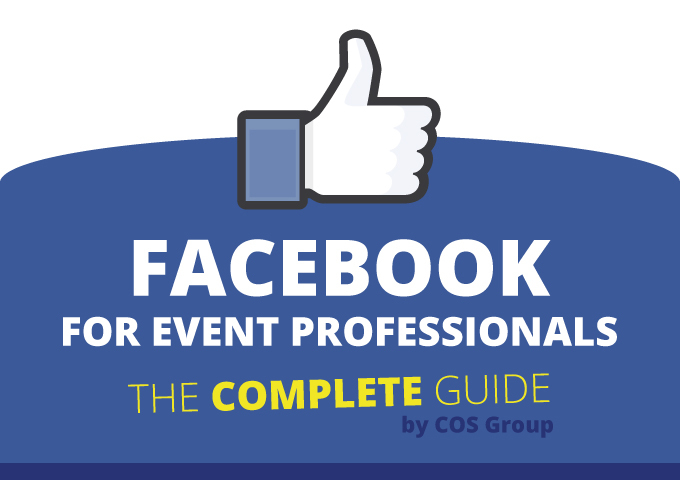 We are hoping that you will find our guide below helpful in getting the most out of Facebook for your events! Many business owners recognize how contests on Facebook and other social media networks can increase their following, boost user engagement, and provide valuable customer info that would’ve been hard to get with other marketing techniques. However, there are just as many businesses that have seen contests fall short of delivery expectations. Running a competition on Facebook is just like other promotional campaigns. It can be an effective way to generate buzz for your page and event – but only if you do it right. Here are 4 things to keep in mind before you run a Facebook contest. You don’t run a contest on Facebook just because it’s the ‘cool’ thing to do. You need to set clear goals for the competition – otherwise it’s a shot in the dark with nothing for you to measure or gain insight from. Are you looking to increase your followers and “Likes”? Building up “Likes” and followers is a must especially if your business or event page is lacking in these departments, BUT be clear as to where you want the new “Likes” and followers to come from. If you have a persona for your target customers or attendees, that’s better as you can target specific groups of people who would be interested not just in your prize but in your event as well. Perhaps you’re looking to get more people talking about your upcoming seminar, tradeshow, or festival? That’s a worthy endeavor as higher engagement from users means more targeted eyeballs for your page updates and greater awareness for your brand. What about increasing email subscriptions? While most of your fans – and most likely a majority of your attendees – are always on social media networks, email still has better open and click-through rates. Run the right contest and you can have more email addresses to promote your event to than you can count by the end of it! Whether it’s “Likes,” engagement, user-generated content, or email subscriptions you’re after, keep your goals realistic and don’t forget to keep watch of the contest – checking if you’re on track to achieve your objectives. The contest is running great. You’re getting a lot of “Likes” and your page’s user engagement is through the roof…and then Facebook decides to shut down not just your contest but also your business page because you’ve violated one of the social networks rules and regulations! You must clearly state that your competition and the giveaway is NOT sponsored by Facebook. This is one of the network’s most important rules regarding contests, and you can easily cover this end by posting the rules and guidelines on your contest like in the example found here. You can ask users to “Like,” comment, post, or send the page a private message to join your contest. However, you cannot ask people to share, invite other people to the competition, or tag themselves in content they’re not a part of or depicted. You should notify the contest winners (through a phone call, email, etc.) before publicly congratulating them on Facebook. 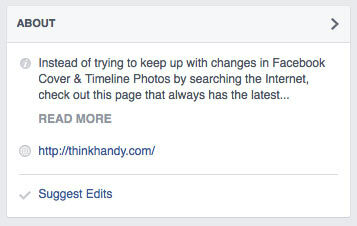 Call to actions like “Notify your friends” or “Don’t forget to vote” are no-no’s in your page’s cover image. Failing to comply with any of Facebook’s strict rules could result in losing not just your business page but also the leads and registrations you could’ve gotten had you paid attention to the contest and promotion rules. Smartphones, tablets, and other gadgets are some of the most common prizes given away. Sure, these prizes pack a lot of value and utility for the winners, but wouldn’t it be nicer if you pick a prize that showcases a product in your upcoming exhibit or related to your seminar, conference, or festival? Running a digital marketing conference 2 months from now? You can give away a license or two for a popular social media marketing tool. If you’re about to hold a concert or music festival, your party-loving fans will more than likely appreciate free tickets sent their way. Maybe one of your guest speakers happens to be an accomplished author too. Your fans will probably be interested in winning a free copy of the speaker’s book. Any of the example prizes above can’t match an iPhone or an iPod in sheer monetary value, but they’re what your customers and potential attendees look for when they come to your page. And isn’t that what you want for your Facebook competition: to show appreciation for your fans and put your brand in front of your target audience…without costing you an arm and a leg! Are you familiar with K.I.S.S? It stands for Keep It Simple…Sir! This rule is applicable in many aspects of your event promotion, but even more so when running a contest where you have to convince other people to get involved. You may have innovative ideas for a photo or video competition and that’s nice. But you also have to remember that the more complicated the contest, the fewer entries you’ll get. Asking your fans to send in their best rock-themed photo sounds easy enough, but asking contestants to post a video of them impersonating one of the bands to play in your festival is another matter. Your contest entry form must be kept simple too. It’s hard to get entries when you’re asking for the address, name, contact number, email address, and company name of the contestant. Keep it down to 4 fields: first name, last name, email address, and post/zip code. Running a sweepstakes campaign is an easy yet effective way to collect email addresses (and other contact information) if you have a large enough fan-base. This contest format keeps it really simple: participants enter with their name and/or email address and a random winner is chosen, which means you’re likely to get more participants and fans. Not to mention it’s easy for page admins to set up. Of course, a sweepstakes campaign has its share of drawbacks. The easy entry process makes the user experience a non-event. Yes, you’ll probably get a lot of entries but let’s face it – it won’t build up as much engagement and excitement like say a photo caption or video contest will. Sweepstakes could be a great way to start an event promotion campaign, ‘wake up’ your fan-base, and gather email addresses. But if you want to be remembered by your participants after the contest, you should try other formats. You’ve got an awesome product ready to be launched at your exhibit 6 weeks from now and early-bird customers and beta-testers are already raving about your cool offering. What’s the next step? Launch a photo contest! Facebook loves photo contests and you will too. They are an excellent way to start conversations about your product and exhibit and reward your fans at the same time. Participants take an active role in the competition – submitting photos and voting for other contestants. This level of involvement makes it easy for fans to remember your brand. Futhermore, every vote is shared on the voter’s timeline, newsfeed, and ticker – driving up your page’s viral reach. And while it’s not as easy to set up as a sweepstakes contest, page admins won’t sweat creating a photo contest. But while all of these sound nice, a photo contest is not a be-all-end-all event marketing solution. For starters, it requires more effort than a sweepstakes competition. A good portion of your existing fans may join the competition, but outsiders and new fans will think twice about entering. One last thing: votes are an essential part of the process and it’s almost guaranteed that some users will game the system to win. Using a 3rd party app with robust fraud protection and moderation features is a must if you want your photo contest to bring the genuine results you’re after. Trying to curate content ideas for your conference? Or maybe you’re undecided as to which speaker to invite? Here’s a win-win idea: Let your fans vote! You get valuable insights from your fans regarding your next event and, just as importantly, your fans get involved in creating the next exhibit, concert, or tradeshow they’ll attend. Page admins won’t have trouble setting up competitions in this format and it’s easy for fans to join in the fun: a vote is all it takes to participate. But what’s really nice about letting your fans vote is that they’ll remember the experience despite the effortless entry process. Fans that participate in the poll are interested in the outcome – and since they feel that they’re a part of the team that shaped the event, it’s very likely that they’ll attend. Now, if your business and event page is thin on “Likes” and followers, running a poll is not the best idea. You need a substantial following for a poll to provide insights about potential attendees and customers, and the format doesn’t lend itself to recruiting new fans as there’s no prize to win. August 29, 2014 was the date when Facebook decided to lend event professionals a hand in promoting their events. Facebook pages were enabled desktop and mobile News Feed ads, to help spread the word about user’s events and driving better responses than the traditional adverts found in the right-hand column of the site’s layout. Page owners – and event planners and marketers to be specific – can create event response ads using either the Power Editor or the Ad Create tool. But before Event Insights can be of any use, you need to promote your event first to have something to track (clicks, registrations, visits, etc.) 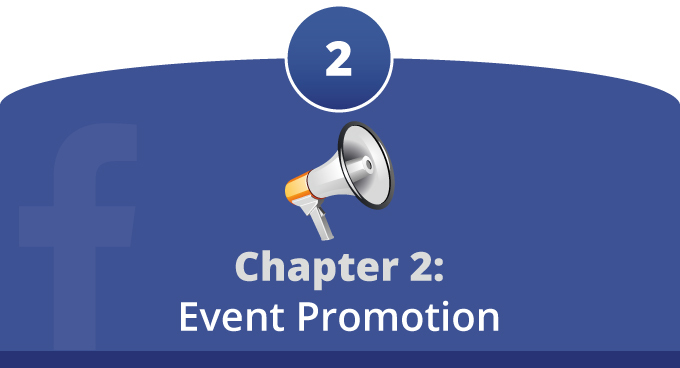 – and event promotion on Facebook starts with an event listing. And don’t forget to set your privacy settings! 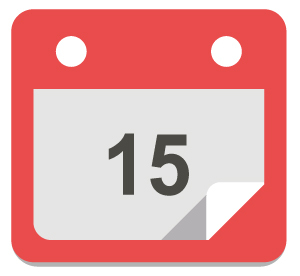 Be specific about the time and location of your event. Don’t forget to include the link to the registration page. For offline events on the other hand, give the venue’s exact address and include a map for good measure. And last but not the least, Facebook doesn’t show time zones so take care of that too! Use the “More Info” section to your advantage. Add an easy-to-follow description of your event, and use the space given to hint at the benefits of attending your event. Include the link at least 3 times in the listing for online events with CTAs (ex. : register now, click the link) to boost attendance / registrations. Be visual when promoting your event. You need to prepare at least 2 images for your event listing: A large, catchy, and compelling image for the page itself and a small but high-resolution thumbnail for your event app. Keep your profile friends and page’s followers ‘welcome’ to your event page. This means unchecking the “Only admins can post on the event wall” button – allowing fans and event attendees to post questions on your wall. And don’t forget to invite your profile’s friends using the event page’s “Invite Friends” button. Keep in mind, however, that raising awareness about your event should be a multi-faceted approach and creating an event listing is just the start. Once you have your event page up, apply the following tactics for marketing your event. Give your page’s cover photo an upgrade. You’ve got a page dedicated to your event, but you want to ensure that the primary business page (behind the event) does its bit of promotion. Upload a new cover photo – one that promotes the event and includes a registration link and a call to action. Without this your events page will look very uninspiring (see above image). And last but not the least, design your status update like an invitation – not fancy but catchy enough and make sure it include all the details necessary. – and they want it more if it’s something they genuinely like or need. So why not give away free tickets to potential attendees? 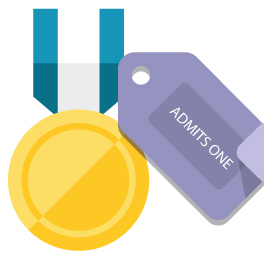 Combine free tickets with the competition ideas in the previous section and you’re sure to build up excitement and get more people involved for your event. Give your fans a sneak peek and a blast from the past. It’s hard to excite people when they don’t know what exactly to be excited about. So why don’t you give them a few reasons to get giddy and pumped up about your event? Share a video or image showing what’s happening behind the scenes. Or perhaps you can show them what went down in the previous edition of your event – key speakers rousing the crowd, testimonials from attendees, unforgettable moments…and it’s even better if these are captured on video! Market your event via email. There are more email accounts than FB and Twitter accounts combined. Moreover, open rates and CTR for marketing emails reach the 20-30% range and 3% range respectively. Every email you send is an opportunity to promote your event. So always include a link (and maybe a brief plug) to your event. You’ve got an event page ready – toss in the Facebook Comments Box plugin for good measure! It lets users comment on your event-related content using their FB profile – increasing your engagement (as the comment is shared in the user’s profile) and giving your content extra protection against spam as it requires users to login to their FB account. Your event attendees rely on Facebook not just to catch up with friends and to like and share stuff they find interesting. They’re on the social network to connect with brands and businesses that matter to them – and that includes you! 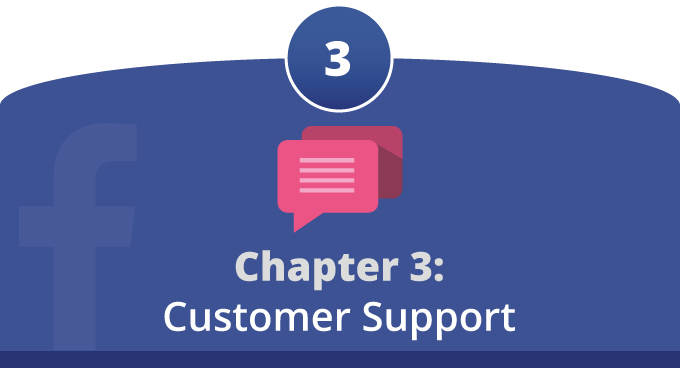 Customer service teams have processes in place to deal with questions and issues, usually guaranteeing a response or solution within the next 24 to 48 hours. In traditional customer service scenarios, this approach works. But when addressing attendee issues – especially during the event and more so if the issue was posted on one of your social pages – 24 to 48 hours is not fast enough. Taking 2 days to respond and provide a solution is adding more fuel to the fire if more than one of your customers has the same problem. It’s essentially asking for other frustrated fans to jump into the conversation to vent out their aggravation and dissatisfaction. Worse, the friends, relatives, and even other potential attendees who saw the unacknowledged customer leave your page in rage and will think twice about supporting not just the event but also the company or business behind it. Don’t let a question or piece of negative feedback sit unattended on your event’s page. A prompt reply shows that you prioritize your customers and attendees – and that’s exactly what they want. Take the time to personalize your message, and this can be as simple as including or tagging their name on your response. Social media networks are a place where people come together to participate in conversations – willingly give out their thoughts and opinions and expect their voice to be heard. And people on Facebook expect you to have the same level of transparency. Customer requests and complaints are guaranteed to crop up from your pre-event promotions all the way to post-event follow-up, and many of these will find their way to your Facebook page. But whether the feedback is negative or positive and regardless of the customer’s tone, do NOT delete the comments. Move your cursor away from the delete button and take the inquiry or complaint as an opportunity to let the public see how the guys behind the event solve challenges and issues. People on Facebook – including your attendees – are mostly savvy. They don’t expect 100%, perfect service but they do expect to be acknowledged and have their issue solved. Think about this: that negative feedback that took a third of your news feed could be a problem for other registrants or attendees. Whether it’s about your online registration’s payment button malfunctioning terribly or the long, slow-moving lines at the check-in process, you want to solve any issues as soon as possible and be public about them on your social pages so others can see that they have been resolved. The complaint has now turned to a valuable resource! Important Tip! Use “Pinned” post to provide solutions to the most pressing and common issues of your visitors and attendees. 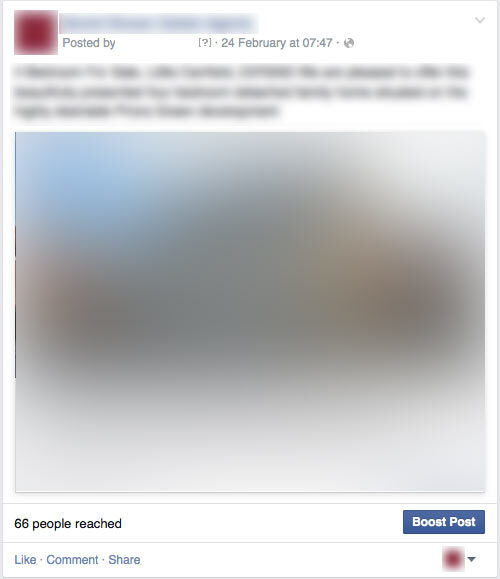 These highlighted posts are pinned to the top of your page’s wall – easy for everyone to see! And there’s always the possibility that the original poster will notice that you’ve deleted the complaint – essentially cutting off their voice on your page. Even if you respond to the concerns, don’t remove the posted issue as the complainant may return with more questions – and even resentment. But what if your team doesn’t have a solution ready? It happens: You’ve got an experienced, well-prepared social customer service team and they coordinate with the guys at the check-in, the security team, and other staff working in the venue. But sometimes, they will encounter questions and concerns they don’t have answers to. Situations like this warrants a holding post – acknowledging your attendees’ concerns and letting the public know that you’re working on a solution. Your customers will be happier and will wait more patiently for the solution when they know they’ve been listened to. The switch to Timeline meant that businesses can no longer send to or receive messages from their fans – and conversations must be done in the open. The lengthy attendee request or complex issue posted on your page’s timeline – and the ensuing back-and-forth conversation – may need to be moved off of Facebook especially if it involves private details of a delegate or attendee. When faced with complex queries and requests, you can leave the contact information – the email address and phone number – of the person who can solve the problem directly. Having a dedicated team member keep an eye on your Facebook page is ideal especially during the days leading up to the event when registrations, questions, and issues peak. That may not always be possible however, and in such cases, you need tools that let you monitor/listen to your social media pages. If your event is an exhibit involving products that have quite a fan-base, you can save time by identifying and establishing relationships with savvy, active fans that are knowledgeable about the products on show. These are the fans that take the time to like, share, and provide valuable comments to your posts, ask in-depth questions, and participate in conversations. These super fans – who might be influencers in your event client’s industry – can lend a hand should a customer or attendee stop by and drop a question. And be sure to publicly acknowledge and even reward your amazing and helpful fans to encourage others too. Live events are a different beast from traditional products and services – and this is greatly felt in digital marketing. You have to market your event based on its benefits, features, and price – AND you need to convince your target market to put their life on hold, register, put it on their calendar even, and drive all the way to the venue. That’s a huge commitment! And for many event professionals, marketing an event is just one of their responsibilities. There are suppliers to speak with, a venue to check, a menu to set straight - so how’re you supposed to drive registrations to the event while keeping up with all of these? Fortunately, you can leverage Facebook’s feature-rich, paid advertising platform. Cost: Ads and sponsored posts on Facebook can be a cost-effective way to drive interest and attendees to exhibits, concerts, and other events. It has an easy-to-use DIY platform, and the reasonable CPCs make it easy to promote events especially for non-profit organizations with small advertising budgets. 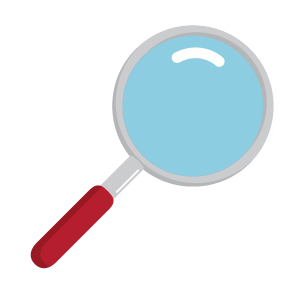 Rich Targeting Features For Ads: Every event, concert, or exhibit is different – their audiences especially! Most events are made for a specific audience with specific interests and preferences. Facebook’s demographic and interest targeting features make it easy to find these specific people especially if you have an audience persona for your event. Of course, rich targeting features won’t benefit advertisers if there’s no audience. But Facebook’s got that covered too. Massive Reach & Engagement: Twitter, Instagram, and Google+ might be contenders for the throne, but Mark Zuckerberg’s brainchild is still the king of social networks. Facebook had 1.35 billion registered users by the end of 2014’s 3rd quarter – and event professionals can be confident that their audience (or at least a large percentage of it) can be found on Facebook. There are two different types of ads on Facebook. There’s the Facebook Ad we are all familiar with, and there’s the Promoted Post. Let’s take a closer look at these two – the PROs, the CONs, and which option suits event marketing better. This is the network’s bread and butter and it’s easy for advertisers to understand. These are the traditional ads you see on the right side of your timeline. And if that’s not targeted enough, you can narrow down the specific interests of your audience, making sure your established ads are served to the right people. Once everything is set, Facebook shows you the number of unique users you can potentially reach. Budgeting is also easy with Facebook ads as the network lets you set a budget for your campaign. You can set a daily or lifetime budget for the campaign, preventing costly advertising accidents. Now all of these sound nice but don’t dive in just yet. There are a few disadvantages to these ads that you must know. 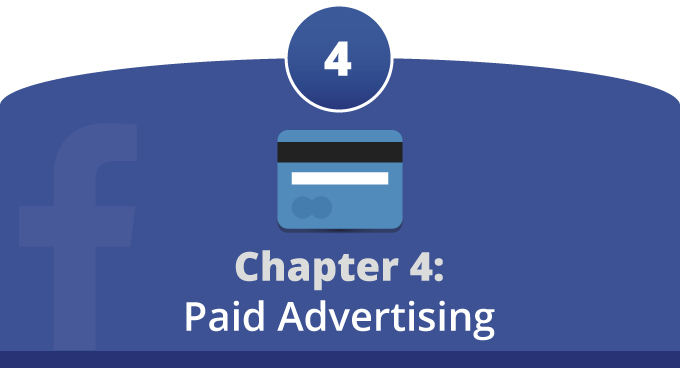 For starters, the low CPC – way lower than Google Adwords – means there are a lot of ads in the network and some of them could be your competitors too. Not only that, the high number of ads have annoyed many users – and the savvier bunch even use tools like AdBlock Plus to stop/disable ads. Even with the mentioned disadvantages however, Facebook ads are still a great way to drive “Likes” and followers to your event’s page. Advertising on Facebook used to be free. Just post a story, message, or link on your page – and this was visible to all of your followers. But it all changed in 2012 when Facebook decided that you have to show the money if you want your post to reach your followers –giving birth to Promoted Posts (and eventually boosted posts). Promoted and boosted posts are a hybrid between standard updates in the news feed and traditional advertisements, sneaking past the radar of ad-fatigued users. These advertisements – unlike those on the right hand column – can take up as much as a third of the news feed making them impossible to ignore. Now there are vital differences between promoted and boosted posts. Let’s take a closer look at the latter. The first option may not be ideal for promoting your event: people who like your page may have friends who are not interested in what you have to offer, and pushing your content to these users isn’t the best use of your budget. Fortunately, you can always pick the second targeting option to make sure that your boosted post is served to users who’re at least interested in your event. The second targeting option lets you target users through their location (important for live events), age, gender, and up to 10 interests. 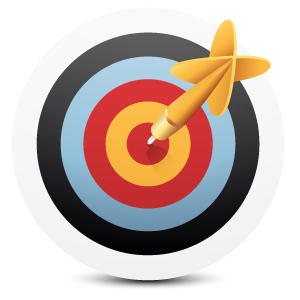 The next step after setting your targeting parameters is to set your budget. You can choose to spread it over a few days up to 7 days. Boosted posts are excellent tools for sending targeted traffic to your website. So you want to ensure that the posts you’re promoting and website pages linked to have strong CTAs. After all, converting that traffic into registrations is the end-goal. Now let’s move on to the next advertising option: promoted posts. Facebook’s Ads Manager lets you promote posts to your existing fans along with numerous options for bidding, targeting, and pricing. Start by simply logging in to the Ads Manager, and select “Page Post Engagement” in the preceding window. The drop down menu following that allows you to select the exact page and exact post you want to promote. You can have more targeting options by clicking “Continue” and “Page Post Engagement” – from there, you can choose your pricing (CPC or amount/day). Facebook is a powerful event marketing platform – that is very much clear – and perhaps you’re excited to test your promotion ideas. But before you go ahead, here are some useful tips to help you get more out of your advertising budget. Use WCA To Your Advantage: It stands for Website Custom Audiences and it lets you target users who visited your website. This is another excellent way for event managers and planners to reach an extremely relevant audience – people who are not offline customers or FB fans but have visited your website. One advantage of setting this up is you can focus on specific visitors – isolating those who visited a specific page (like one of your info-promotional pages for the event) or pages that include certain keywords in the URL. Covering the whole set-up process could easily take up a post but Facebook marketing expert Jon Loomer has a post dedicated to WCA and it is detailed enough to get you started. Slowly But Surely: Facebook gives you enough pricing options. Don’t take this as a signal to jump in and commit however – you could end up wasting a lot of money. Remember, your goal isn’t to reach as many people as possible – the goal is to find attendees for your event. Keep your demographics tightly focused and stay low on the budget. Use your early days in the promotion phase to see which ads work and how to maximize your results. Once you have a clearer understanding of what works for your event, you can slowly increase your budget and expand your reach. Keep It Tight And Focused: Facebook’s ads targeting features let you reach very specific audiences and track your results – so use them! You don’t want to waste time and effort targeting a broad demographic, or your event’s attendance will very likely suffer. Is your target audience predominantly male or female? Where are they located exactly? What keywords related to your event do they use? Beyond geographic and age demographics, Facebook also lets you target users based on their interests, an excellent way to further refine your campaigns. Ask what skills, interests, and other things your attendees have in common. Let’s say you’re promoting a rock concert and you’ve got an established persona for possible attendees. You can drill deeper by targeting people who are interested in bands, electric guitars and other equipment, gothic-themed apparels, or rock concerts in general. A Few Ideas On Images: People’s faces command attention. 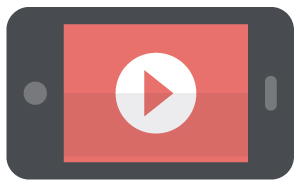 Banner ads, landing pages, and even thumbnails on Youtube with faces enjoy better CTRs than those that don’t. But of course, you don’t want to just slap a random face on your ad and Promoted posts just because everyone recommends it. It still depends on the audience. Here’s what you should do: Test different ad images – those with people against those without. You’ll see through this simple split-test which ad works better for marketing your event. You also want to use different images for your traditional ads and Promoted Posts. Ad-fatigue is a real risk – you don’t want your new fans to grow tired of your posts simply because you used the same image in your ads and sponsored post. Important Note About Text in Images Ads: It’s true that pictures “speak” louder than words, but you may want to add a slogan or quote in your image ad to help clarify what your offer or event is about. Facebook’s guidelines allow that – provided that you adhere to their 20% text policy. This is done to ensure that users avoid ads that look like spam, ensuring that people on the network get quality ads and content. 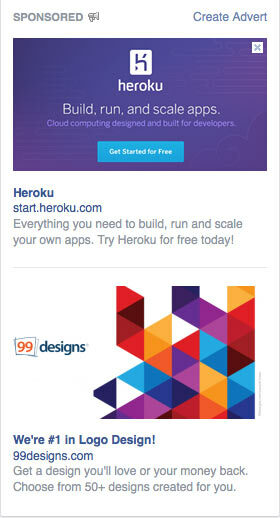 Facebook recommends using your page’s thumbnail (or logo) as the image while getting your message across through the text field. Whatever image you use, however, you want to use the grid tool to make sure you’re adhering to the advertising guidelines. In the grid tool, click “Browse” and pick the image you want to use for your ads. Next, click “Show Grid” to enclose the image within a 5x5 grid. Click on the boxes that contain text. If you had to tick more than 6 boxes to encompass all of the text in your image, it’s very likely that the image has more than 20% text, not eligible for ads in the News Feed or the right-hand column of Facebook. First, make sure you are logged in then go to the Ads Manager and click on “Event Responses.” If you haven’t created an event yet, the window will ask you to create one. Just follow the event page creation tips above: fill out all of the fields (name, details, place, etc.) and make your event’s page as appealing as possible! And by the way, set your event to “Public” so users who aren’t fans and friends but are interested in attending the event can join. If you have created an event, click on “Continue” and it will take you to the ad’s settings. Start by uploading different images you want to use for your ads, allowing you test different images and find one that converts the highest. Sometimes, however, targeting your audience based on the criteria above isn’t targeted enough. But don’t worry; you can always click on “More Demographics” to drill down further – targeting users based on their education, relationship status, market segment, life events, and more. Alternatively, you can upload a custom audience to target audiences that are similar to your site visitors and email list. Important note: it’s highly recommended to choose “Only People Not Connected To The Event” as it makes little sense to serve your event ads to users who are connected and attending. Once you’re done setting your ads’ crosshairs, scroll down to the pricing section and choose “Bid For Event Responses” as you don’t want to pay for mere clicks or impressions – you’re looking for attendees! Simply click “Place Order” and voila! You can build a Facebook page and promote it as much as you want. But if you don’t track how your page is doing to see if your promotion strategy works or if it needs tweaking, marketing your event on Facebook can be hit and miss. 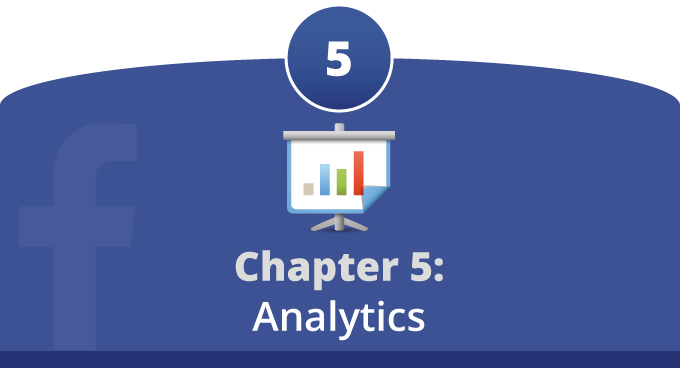 Fortunately, there is Facebook Insights – a powerful tool for user interaction on your page. It is accessible by all admins of a page and the information it uncovers can be very helpful in assessing a page’s performance. If you want to determine which day to post; what specific time; and which type content gets shared the most, a thorough look at Facebook Insights’ data will give you answers. 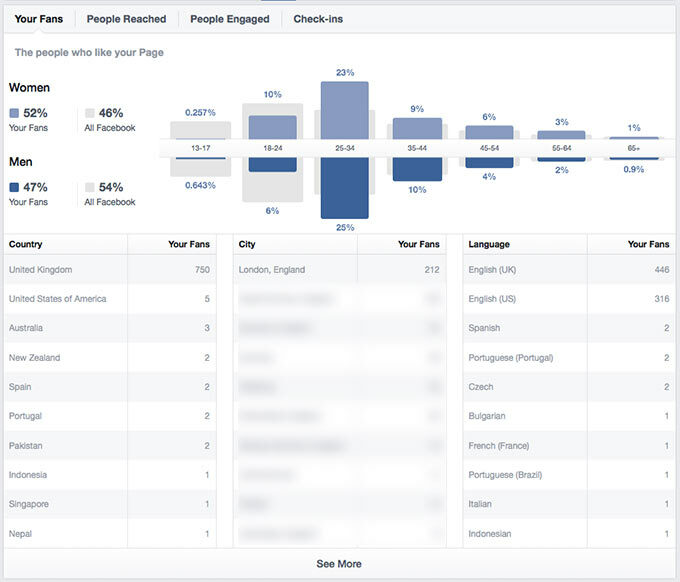 Let’s take you on a quick tour of Facebook Insights to help you familiarize with the tools ins and outs. 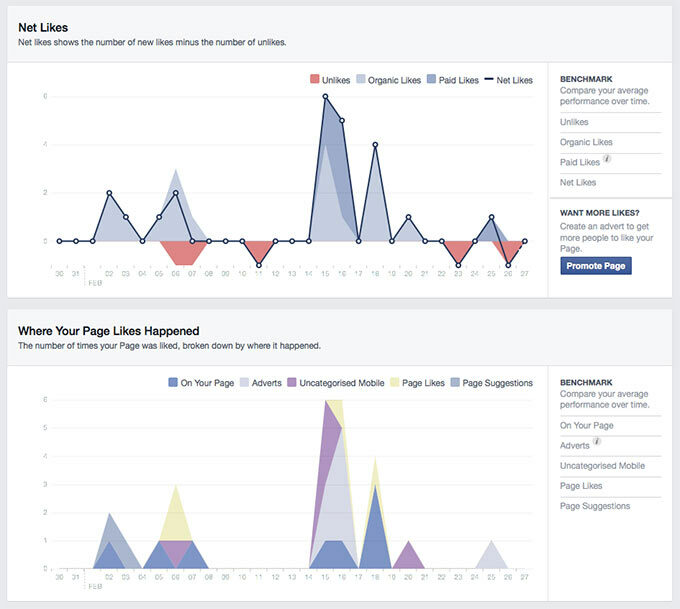 Remember, however, that the analytics tool is regularly updated by Facebook and its layout may change later. The main screen of Insights shows you an overview of how you’re page is doing – your total page likes, your post reach, engagement for the current week, and other details which are then compared to previous week’s data. The overview window lets you view 5 of your most recent page posts in a table. The table tells you the published date; the post’s title; the type of post; its organic and paid reach; the amount of engagement each posts get; and you also get the option to “Boost” the page or check how much credit you have left if you’ve already done so. The bottom part of Insights’ overview lets you keep tabs of your competitors. The “Pages To Watch” section shows you pages that Facebook thinks are similar to yours. 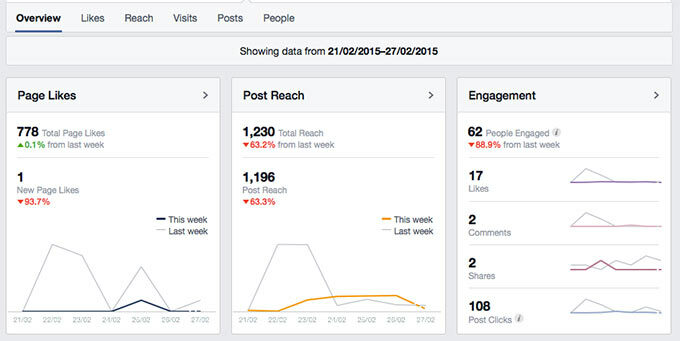 This helps you keep an eye on your competitor’s posts and their engagement levels. This section of Insights provides useful initial information, but one needs to check the other tabs to get the most out of the tool – these are Likes, Reach, Visits, Posts, and People. The first tab gives you detailed information regarding your page’s “Likes.” The top graph lets you choose a date range for displaying “Like” information, giving you a quick glance at how your page is doing “Likes”-wise over a long period of time. “Net Likes” which shows you the number of new “Likes” a page gets versus the number of un-“Likes.” The graph also shows your organic and paid “Likes” – allowing you to quickly compare your organic and advertising campaigns. “Where your Page Likes Happened” which breaks down your total number of “Likes” by where it happened – on your page, a mobile device, through adverts, and page suggestions. The second tab shows you detailed information about your page’s reach. The first graph “Post Reach” gives you the number of people your post was served to, and this is broken down by organic and paid reach. 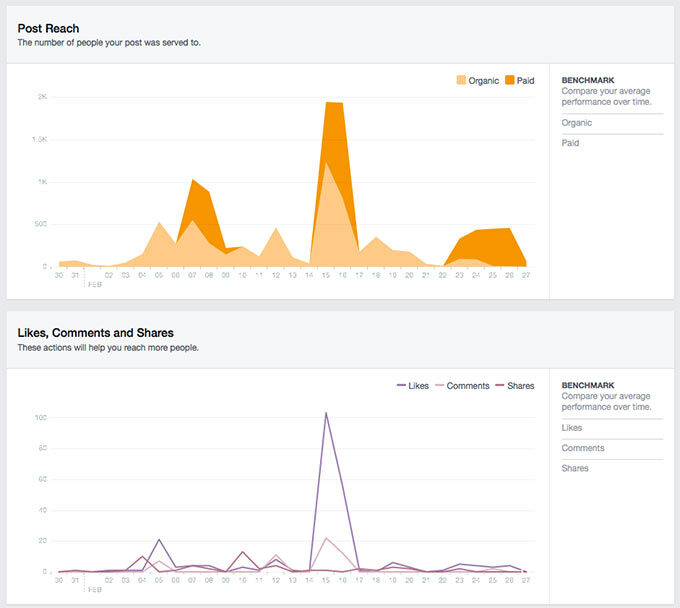 The second graph shows you the “Likes, Comments, and Shares” for a page, and all of these affect your reach as these actions are posted to the timeline of the user. But while knowing how many “Likes,” comments, and shares your page received is important (and heart-warming too), it’s just as crucial to know how many people disconnected from your page. That’s what the third graph is for: it shows you the number of people who hid your post, reported it as spam, or un-“Liked” your page – actions that can reduce your reach. This tab contains detailed information relating to the number of visits your page got. 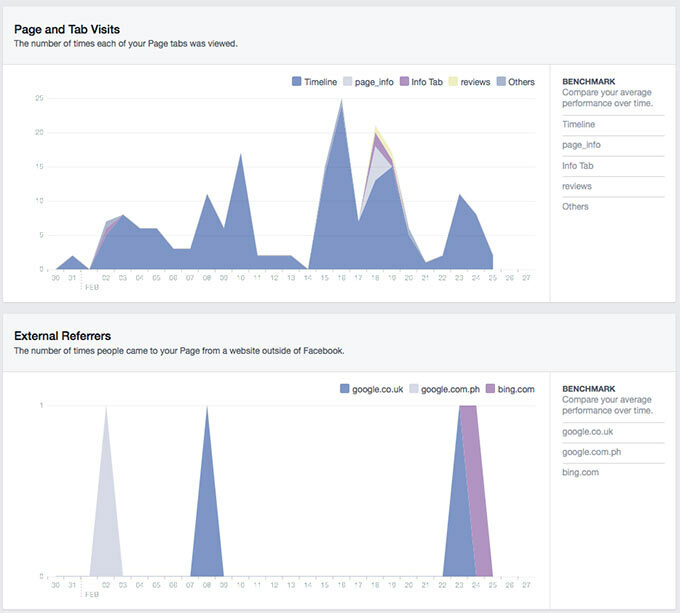 The “Page and Tab Visits” graph visitors to various section and tabs of your Facebook page – the timeline, info tab, page info, reviews, and more. The “External Referrers” graph, on the other hand, shows you the number of times people from outside of Facebook came to your page. “When Your Fans Are Online” which shows you the times when most of your fans are online. The graph shows data from the past 7 days and it uses your computer’s local time zone. This is very useful for knowing when to time your posts for maximum impact. “Post Types” which displays the success of different post types (photo, status, and link posts) based on average reach and engagement. The “Average Engagement” section shows you the number of clicks, “Likes,” comments, and shares your posts get. “Top Posts From Pages You Watch” this is only useful if you watch any of the pages suggested in the “Pages To Watch” section of Insights. The bottom of the Posts tab contains a list of the posts you’ve published for the past 7 days including the type, targeting, reach, engagement, and an option to boost the post. It’s nice to know you’re getting “Likes” and a lot of engagement, but it’s nicer to learn more about the users who commented, liked, shared, and clicked your page. The People tab gives you in-depth information regarding your audience. This includes gender, percentage of male and female fans, age distribution, country, city, and language. If you’re the type who loves working with Excel, you may prefer looking at tabulated data rather than graphs. No problem! Facebook Insights lets you export your page’s data in Excel format, giving you a more thorough look at your metrics and social media impact. To start, click on the top right button of Insights page. This will bring up a little window where you can set the data type, date range, and the file format of the data. Simply click on Page Level Data, Excel (.xls), set the date range, and that’s it! You’ll get an Excel report, which could be intimidating at first sight with its near-endless columns of data. But don’t let it get to you, the .xls file contains various data sheets that contain valuable info like your page’s daily Like sources, viral reach, and other key metrics. 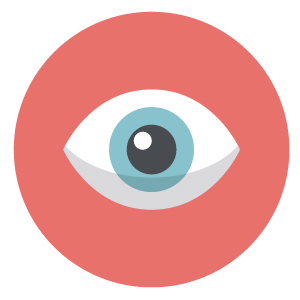 You can use the most effective Facebook marketing methods to drive eyeballs to your page. If your Facebook page’s design isn’t optimized however, you will have trouble converting those visitors to registrations for your event. Facebook gives you the option to place a banner (cover photo) for your page, allowing you to enhance the page’s overall visual appeal and personality. Copyright infringement is a real risk. It’s best to avoid using images you don’t own when designing a Facebook banner for your event. Use photos and graphics that you own and are unique to the event you want to promote. Steer clear from ‘calls to action’ (CTAs) and blatant pitches. This means you can’t mention the ticket prices, early-bird discounts, and other special offers in the banner. An arrow pointing to the “Like” button is equally off limits so keep it in mind! Contact information – the event’s official email address, phone number, etc. – doesn’t belong to the banner. These bits of info should be mentioned in the About section. Your banner can, however, have the name, date, and venue of the event. Important! Keep in mind that Facebook’s page guidelines change every now and then, so don’t forget to the network’s official rules. Get the dimensions right! Keep your banner at 851 x 315 pixels. Remember too that Facebook reduces the resolution of every image you upload so keep an eye on that. Keep it relevant and consistent with your event’s theme. Don’t just slap a stock image on your banner. You want to use images that are closely linked to your event. Why not use a high-resolution image of the venue? Bonus tip: your profile pic needs some attention too. It appears on your followers’ newsfeeds, the posts on the page’s timeline, replies in the comment, and a million other places on Facebook. Profile pictures are uploaded at 180x180 pixels but are displayed at 160x160 pixels, so use square images as rectangular ones need to be cropped. Oh, one more thing: Keep your page’s profile pic relevant. Canva – This tool takes the cake as far as drag-and-drop and easy image editing goes. From adding grids, changing layouts, to applying effects and everything in between, a few drags and clicks is all it takes. Pixlr – The Autodesk-backed image editor grew from a standalone online tool – and now has apps for smartphones and a desktop version for offline editing. It’s not as user-friendly as Canva, but Pixlr is very rich in customization and editing features. It’s like the free, toned-down version of Adobe PS. PicMonkey – It’s a free photo editor like the others but creating collages is one of PicMonkey’s stronger suits. It lets you fix and enhance photos, add filters and text; and more straight from your browser. Fill up everything in the ‘About’ page as much as possible –the Start Info, Long Description, Mission, Website, Email, and other fields you deem necessary. To edit the short description, click on the admin panel’s Edit Page button and go to Update Page Info. Following that, click on the pencil icon next to Short Description. You only have 155 characters for your Short Description, but a good rule of thumb is to use only 100 characters – use that allowance to make as much impact as possible. Be straightforward and picky with your words – and make sure it creates curiosity about the coming event. Consider starting your Short Description, Mission, and Company Overview with your company or event registration URL. This ensures that the URL is the first thing that shows up when your page is viewed on a mobile device. So your event’s Facebook page now has a well-designed banner, detailed ‘About’ page, and a perfectly worded Short Description. That’s a good start but creating interest and spreading the word about your event requires more than that. You want to follow up on the first impressions made by your page’s banner and ‘About’ page by posting regularly. But don’t just slap industry-related quotes, images, and links on your wall. You should post with a goal in mind: To build up hype and drive registrations for your upcoming concert, conference, or exhibit. Cute images and witty remarks may get a lot of “Likes” and “Shares.” But your bread and butter for converting first-time visitors along with current fans and followers to paying attendees are link posts, so make these central to your posting strategy. Use the event’s registration URL as your link posts’ landing page. Ensure that the page has a colorful, attention-grabbing image as it will show on full-width on the news feed’s photo preview. Don’t leave your visitors second-guessing what you want them to do. Add crisp and impactful CTAs telling them to click on the link, register for the event, sign up for a newsletter, and the like. Oh! And last but not the least: Keep an eye of your Facebook posts’ click-through rates (CTR) by using URL shortening and tracking services like bit.ly and tri.im. Doing so allows you to find which link posts have high CTRs so you can keep them and discard those that don’t convert. A picture is worth a thousand words they say, and the fact that photo posts make for 93% of the most engaging posts on the network is proof of this. Moreover, Kissmetrics – led by Neil Patel – stated that photo posts get 53% more “Likes”; 104% more comments: and enjoy 84% higher CTR than text-based posts. If your Facebook event marketing isn’t visual, you’re doing it wrong! Stay relevant to your followers and keep the images consistent with the upcoming event’s theme or personality. Of course, the same posting rules – don’t infringe on copyright, use high-resolution images, and include CTAs – apply here. This type of post lost a lot of its punch when Facebook decided to change their algorithm – the reach of text-based updates were significantly reduced. Text updates from brand/business pages on Facebook have decreased down to 20% of their original organic reach since last year according to reports. But don’t let this stop you from posting witty remarks and quotes that get significant engagement. You can increase engagement in your text posts by using questions, fill-in-the blank updates, and other types of posts that require a quick response from the user. Say “No” To Spammers: You don’t want spammers, virtual party crashers, and typo-filled posts to ruin your event page. To keep these outsiders off-limits, go to “Manage Permissions” tab and switch to “Posts By Page Only” option. 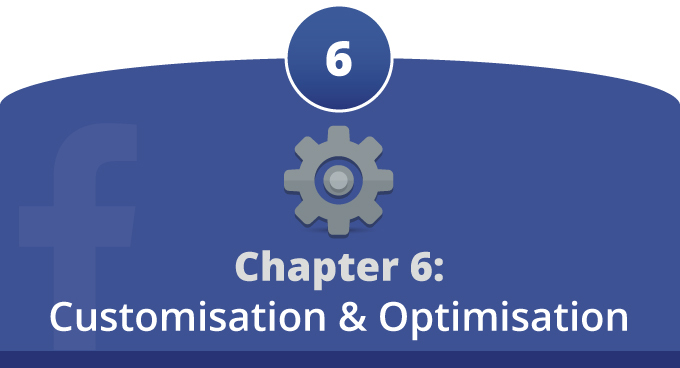 We hope you have enjoyed reading our guide, we would love to hear your feedback at marketing@cosgroup.com. We would like say a special thank you to the websites below who have all created amazing pieces of content about Facebook, many of these were used as resources/sources to back up the information we have used for our guide. We would highly reccomend checking out the links below, although not tailored specifically to events, there is still a wealth of information available.